Thank you Construction Supply Specialists! 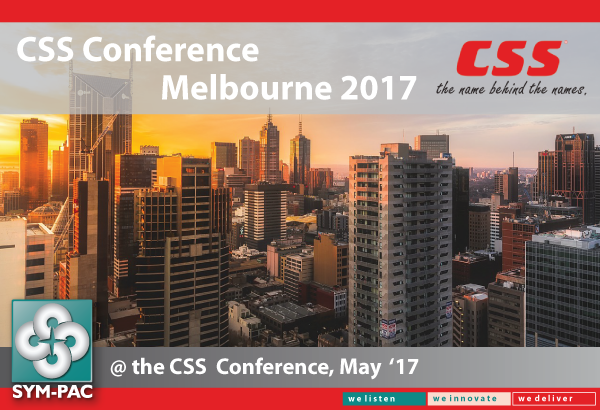 What a great conference in Melbourne, May 2017. We want to thank all of those who came and spoke with us on the stand. It was a fantastic opportunity to catch up with existing customers and many new faces. CSS: 15 years – ‘The Name Behind The Names’. From everyone at SYM-PAC a huge congratulations to Construction Supply Specialists on the 15 year anniversary! We look forward to working with individual stores and the group for many years to come. Established in 1991, last year we celebrated 25 years of working closely & collaboratively with strong independent businesses across Australia. Our experience in the industrial & construction supply industry sector, is complemented with our hands on experience in allied industries, including building & plumbing suppliers, timber & hardware, electrical, and the rural & agribusiness sector — across a large range of buying groups and independent business. 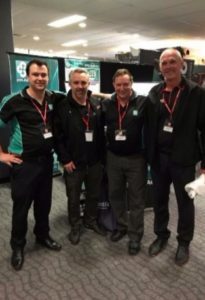 The SYM-PAC team with Justin Moore (Ferntree Gully Bolts) and Paul Davy (CSS). Micheal Goodwin (SYM-PAC Sales), Justin Moore (Ferntree Gully Bolts), Paul Epstein (SYM-PAC Sales) & Paul Davy (CSS).